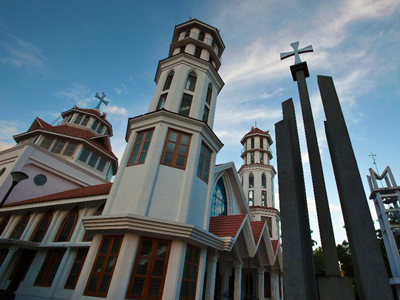 The Diocese of Quilon comprises the major part of the civil district of Kollam, the taluk of Karthikapally, portions of the taluks of Mavelikara and Chengannur which lie south of the river Pamba, in the civil district of Alappuzha. Quilon was one of the seven churches founded by the Apostle St. Thomas, and of the two Bishops, who tradition says, were appointed by the Apostle, one had his See at Quilon (the other being at Cranganore or Angamaly). The Syrian Christian immigrants from Persia in the 4th century had Quilon as one of their main centres of settlement. In the year about 922 (hundred years after the foundation of kollam city) two Bishops, Mar Seberius and Mar Protasius (also called Apor and Aport) arrived at Quilon with a large following of Christians. Since the latter half of the 12th century Quilon became the chief centre of Franciscan and Dominican Fathers. In 1329, Pope John XXII by a Bull "In Perpetuam Memoriam" dated August 9, 1329, constituted Quilon as an Episcopal See the First diocese in the Indies, and at the time, the only one in the country, as Suffragan to the Archdiocese of Sultany in Persia. By a Bull "Venerabili Fratri Jordano" the same Pope John XXII on August 21, 1329 appointed the Dominican Friar Jordanus Catalani de Severac Bishop of Quilon. With the settlement of the Portuguese at Quilon in 1502, together with their Franciscan Friars, the territory was under the Franciscans until 1533, when it became part of the Diocese of Goa, re-established as Suffragan to Goa. On April 24, 1838 the territory was placed under the Vicariate of Malabar (Verapoly). The separation of Quilon, as a new Vicariate Apostolic, suffragan to Verapoly was decreed and was provisionally executed on May 12, 1845, entrusting it to the Belgian Carmelite Fathers, and finally confirmed as a separate Vicariate Apostolic on March 15, 1853. With the establishment of the Hierarchy in India, Quilon again became a diocese on September 1, 1886. On May 26, 1930, the southern most part of the diocese was cut off and erected as a separate diocese - the Diocese of Kottar. Later, by another decree of the Holy See dated July 1, 1937, the diocese was again divided and the Diocese of Trivandrum was created and entrusted to the Carmelite Fathers while the remaining portion, the most ancient part of the Diocese of Quilon, was entrusted to the diocesan clergy. 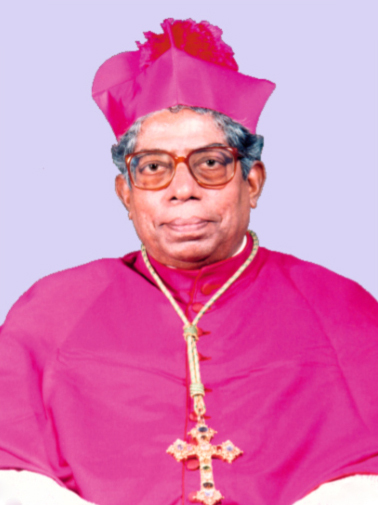 The diocese was again divided in 1986 and the eastern portion of the Diocese was separated and erected as the Diocese of Punalur.